Yes, it’s cool bedding plant season again and it’s always nice to refresh the landscape with a little color. Local garden clubs are a good resource for finding wonderful plants and gardening techniques for our region. They can provide seasonal plants at a low cost and a host of information. Usually when people think of garden clubs they picture themselves forced to go to meetings, getting dirty as they plant and cultivate cuttings or clippings, however that is not the case. One of our local favorites, Central Bloomers post tidbits throughout the year to help you maintain a beautiful yard. They also host plant sales periodically which are good times to meet and ask questions. Most garden clubs are generous with sharing information and are great at suggesting the perfect plant or flower for you, whether you live in an urban area or rural setting. 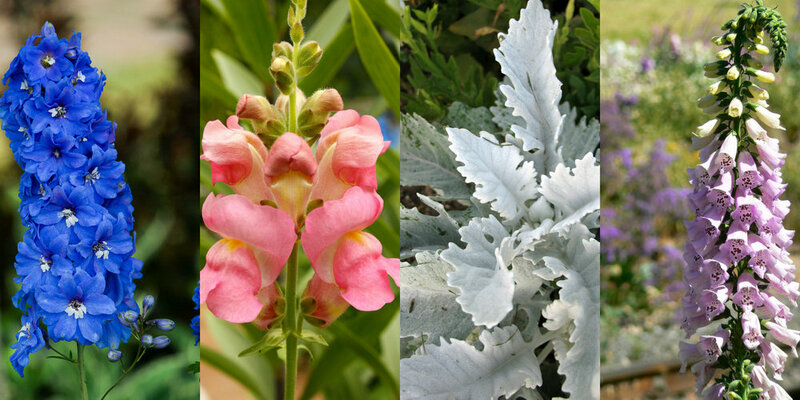 A few cool-season bedding plants to look for are delphiniums, dusty miller, forget-me-nots, foxglove, hibiscus, pansies, petunias, snapdragon, blue thunbergia, and violas. Look for a garden club near you!